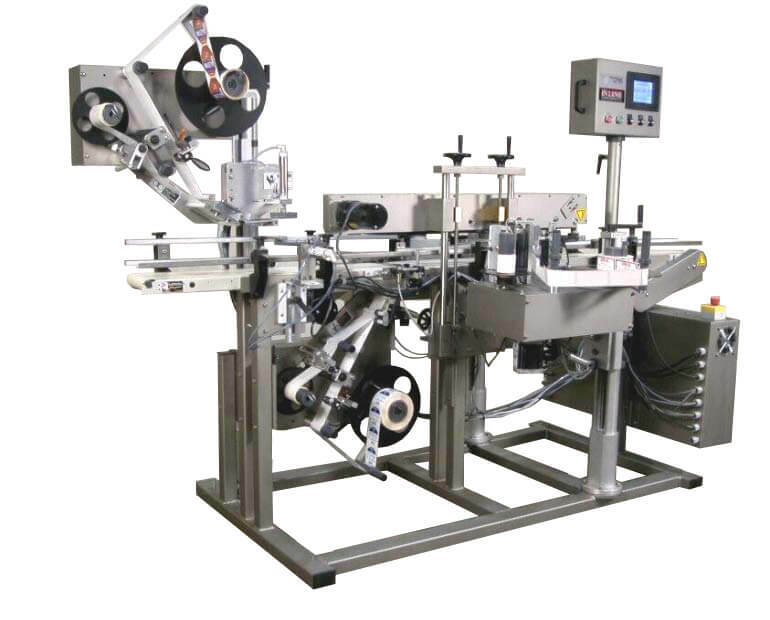 Model 1000 Vacuum Gate Labeler | InLine Packaging Systems, Inc. The fully automatic Model 1000 Vacuum Gate Labeler has a PLC interface that easily controls all machine functions. It is designed with two vacuum gates across the conveyor. 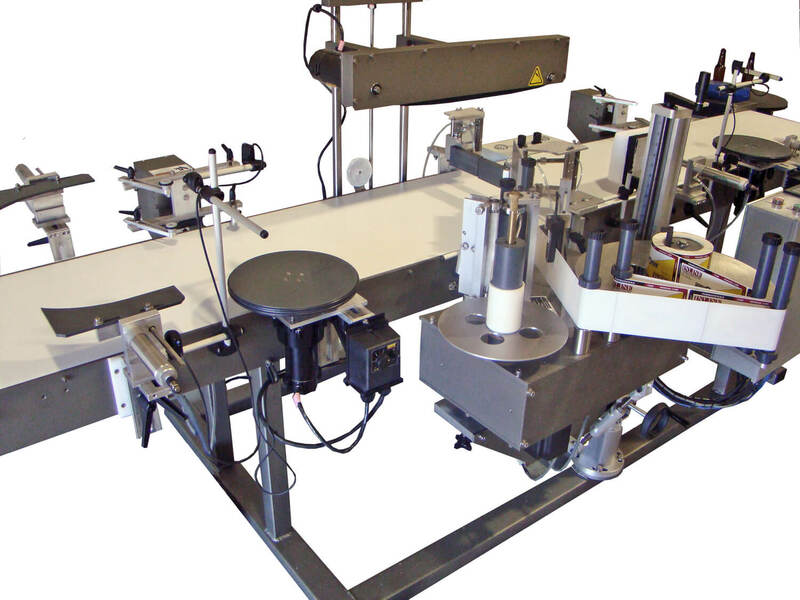 When a product is sensed, a label is dispensed across the conveyor and held in place by the two vacuum gates. The container travels down the conveyor until it makes contact with the label. The vacuum gates open and allow the container to continue along the conveyor. The gates also serve as the wiping mechanism. You can count on In-Line to offer the custom solution for your labeling needs. All In-Line machines are backed with a one-year warranty, and we are available to answer questions and troubleshoot. We don’t leave you cold after the purchase. We develop a relationship with our customers and are here to help them as their business grows and changes. So, you can be confident when you partner with In-Line that you are receiving not only quality products, but quality service as well.